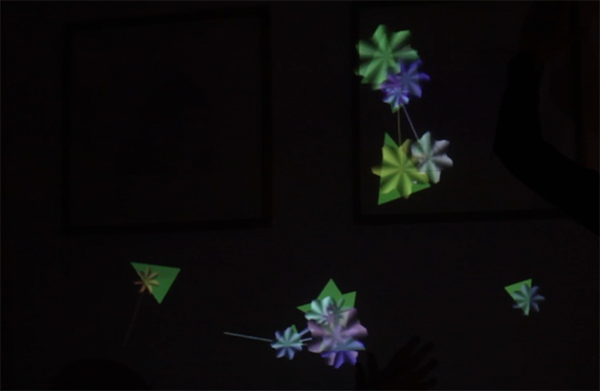 During the weekend I created some animated flowers, growing suddenly on the wall by just walking by. All work is realized with Open Frameworks. 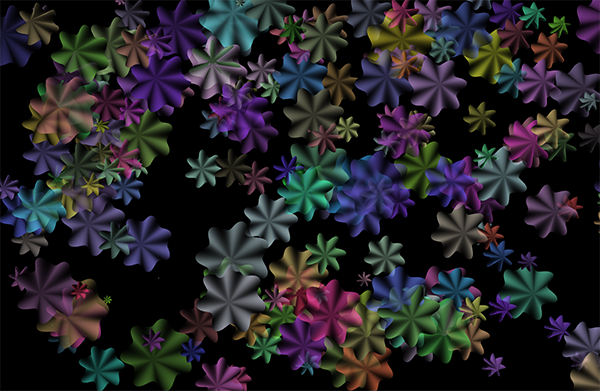 The flowers are created with an OpenGL tri_fan inside a VboMesh. 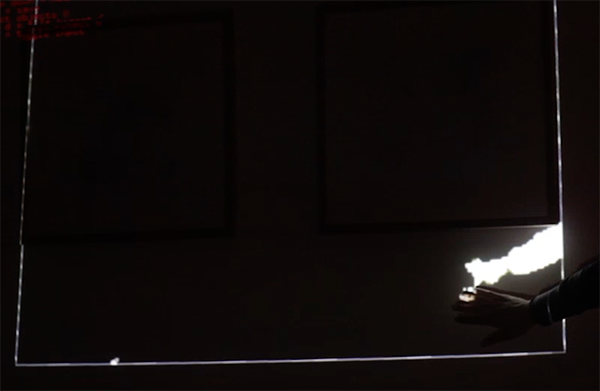 the position of the flowers is selected by the depth image of the kinect. which is clipped to the region of interest and then warped back to the projector. 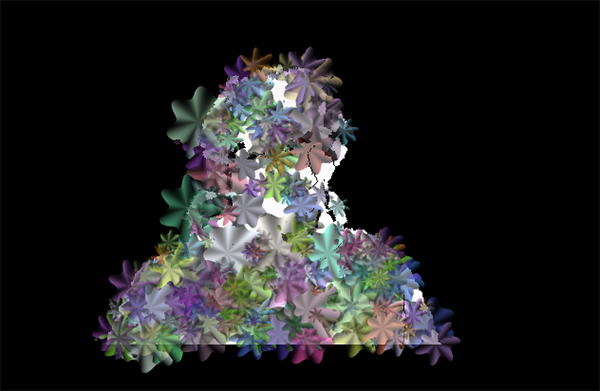 furthermore i added some triangles as leafes and some intersection lines between a nearest flower.